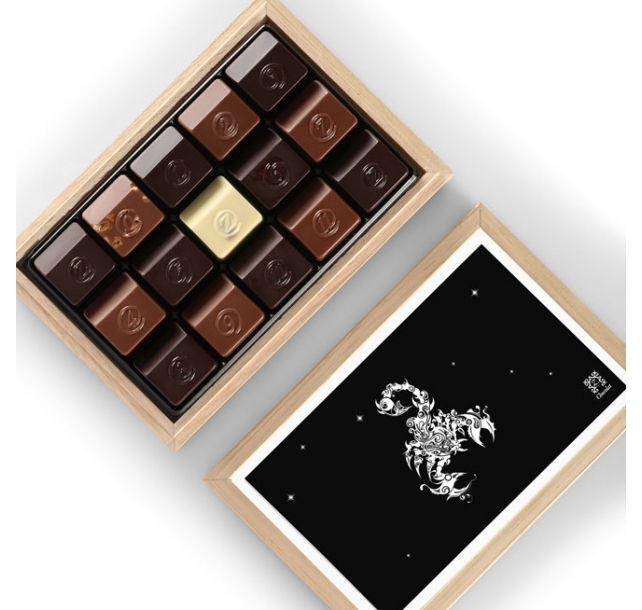 Description: Delight the exciting and passionate nature of Scorpio (October 23 – November 21) with a stunningly sumptuous gift. Each Zodiac Box is handcrafted from regional chestnut wood and adorned with an artistic rendition of the current astrological sign. Filled with fifteen pieces of decadent French chocolate, it’s a sensational way to send a personalized birthday greeting, wish someone happiness and good fortune, or simply let them know you’re thinking of them throughout the seasons.